Treasures from the past come to life at this 18th-century fort and fur trading village. 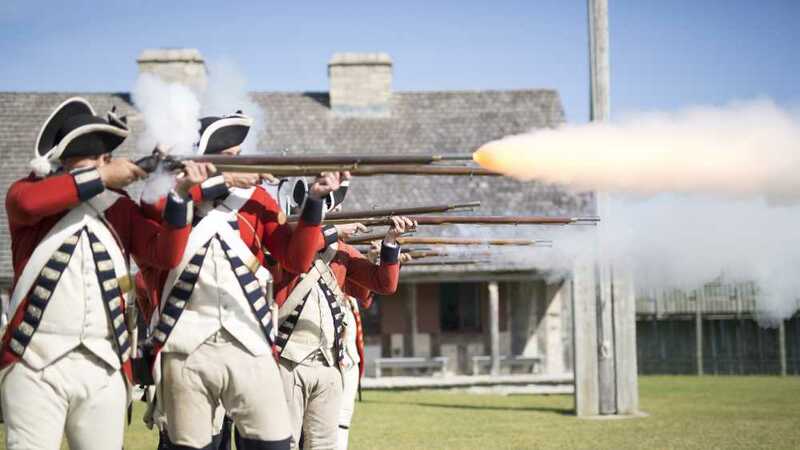 As you walk through the site, you are stepping back in time to 1776, as the American Revolution spread. Reconstructed based on historic maps and more than 60 years of archaeological excavations that continue today, Colonial Michilimackinac offers a one-of-a-kind experience from cannon and musket firings to hearth cooking and crafts.